The Point System Options: is a process where by candidates total points are gotten from the o level grades and jamb score. 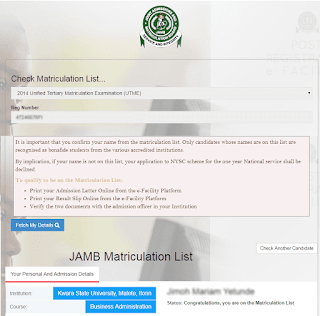 Here is the way 2016/17 Post UTME Admission Screening scores will be determined. No Examination will be conducted. The next to be considered on the point system is your UTME Score. The higher your score, the higher your chances of securing admission.